The Tripperpas was introduced on january 8th 2001. It could be used to pay the fare on the Arriva city buses in Groningen (The Netherlands). The Tripperpas was a test initiated by Arriva and the Dutch Ministry of Transport. The Ministry paid Motorola 16 million guilders to develop this system of electronic payment. The test ended on january 1st 2003. The passenger had to touch in and to touch out. The system calculated the cheapest fare. The fares were paid by an direct debit, every time the total cost of fares reached 35 guilders. The tripperpas could be used by more than one passenger at the same time. The driver used a device called "driver display unit" to adjust the number of passengers that used the ticket. In the first months of the test several shops in the city centre of Groningen gave discounts to customers who had a Tripperpas. About 4,000 passengers took part in the test. This was more than the expected 2,500 - 3,000 passengers. In 2002 Traffic Test conducted research commissioned by the Dutch Ministry of Transport and Arriva. This research was a follow up of a research conducted in May 2001 The second research showed that 9 out of 10 participants used to use a strip ticket. More than two thirds of the passengers traveled one or more times together with more passengers using one Tripperpas. In the first research this was less than 50%. 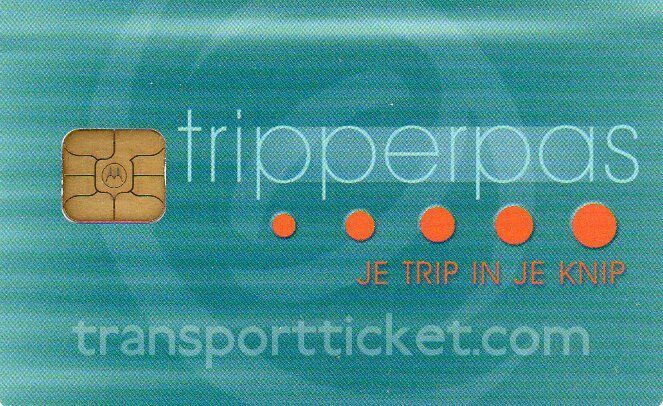 91% of the passenger said using one Tripperpas for more than one passenger at the same time was a convienant way of travelling.